Specific Objective: To contribute to the acquisition of advanced knowledge and skills of the target group by organizing training courses on topics of management, marketing and strategy planning. 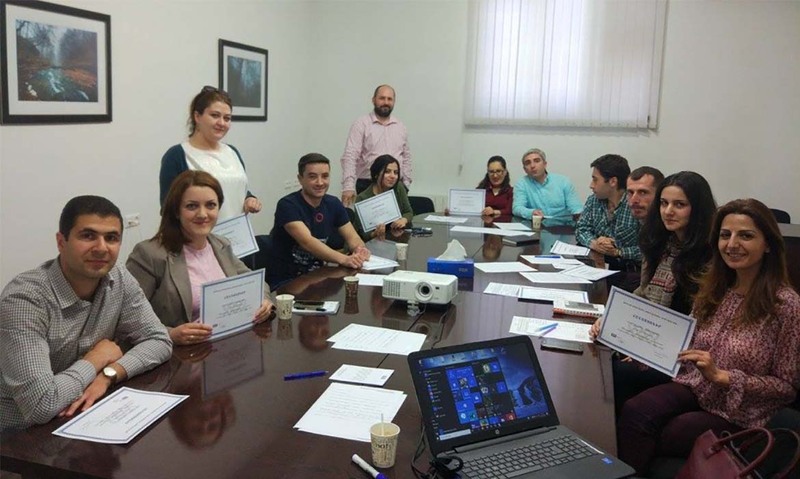 The Training Center was launched on January 2017 with the idea to contribute to the acquisition of advanced knowledge and skills of the target group by organizing training courses on topics of management, marketing and strategy planning to make them more competitive and flexible in the market. The trainings are organized by very proficient and skilled experts and trainers and each topic is properly prepared and approved by the AF4SD projects coordinator. The trainings are held once a month and anyone wishing to participate in it can register his/her details within the set deadline. The upcoming trainings are published at our Facebook page and you are welcome to join them via it.